Whether you are updating from Metron-MD 6.11 or Metron-MD 7.11, you will notice the button icons have a new look! Their visual appearance has changed however the great Metron functions are all within a click or two. The format is simplified for use with touch screen laptops and tablets. As always, hover your mouse over the button for further description. Are you updating from Metron-MD 7.11? 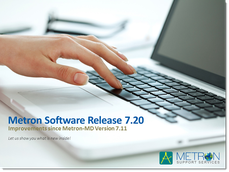 If so, check out what is new for you in the Metron-MD 7.20 Software Release Features Guide. Reference Page 2 for the Metron features list...by clicking the feature, you will be provided additional information...text and software images. There are two new Guided Mark-Up processes for podiatry plus a new Free Mark-Up feature to enhance the use of this tool. 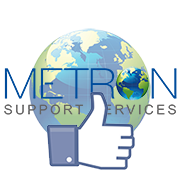 Are you updating from Metron-MD 6.11? If this is your practice, check out what is new in the Metron-MD 7.20 Software Release Features Guide. 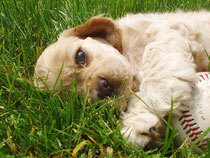 Use the "What's New" index on page 2 as your tour guide! You will initially notice the new landscape and look of Metron! The diagram below explains the Metron Study List, the button icons look and placement. So many enhancements to list. Give it a read! 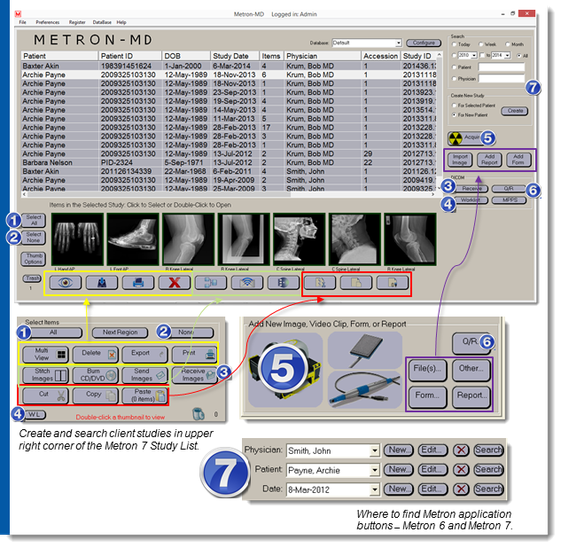 If you have updated to a Metron-MD version 7, you may be wondering where all the Metron buttons and functions are located! The Metron Study List is new to Metron-MD. 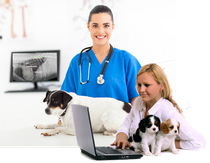 From here a Physician or Operator can view and edit patient study lists/images and create new patient studies based on user privileges and preferences.